I have been coping with social anxiety disorder for a few years now and I know how challenging it might be to put yourself out there and have decent conversations, seem totally cool and not like you are about to puke your guts out or scared over your head. And the hardest part is when you need to use verbal communication to sustain a work matter and stay there in front of the room, in front of your colleagues and make a point. Good luck with that without fainting. But when it comes to work you have to get as serious as possible about your communication skills. 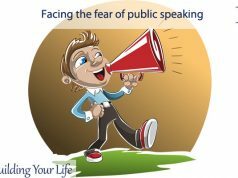 You might prepare a speech form home but sustaining it is the really challenging part. 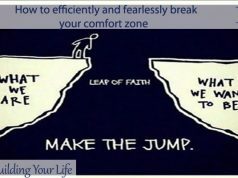 Because the moment anxiety takes over, it’s very easy to leave the impression that you are not prepared enough rather than you are just nervous. What I mean by this is to try to make a smile. I know it’s hard when all you feel deep down are butterflies that are eating you up alive but a smile has its benefits. You know what they say, fake it till you make it. I am not saying that people will not be able to say that your smile is not genuine, but at least it will make you feel like you’ve got the power, until you ease up and eventually really do take over the power. 2. Where do you look at? I know eye contact is difficult especially when you feel like running out from the room. But looking your colleagues in the eye shows that you are both interested in their reaction and in the topic that you present, it shows that you are present and involved in your speech. It’s a known fact that you should not keep your arms crossed while having a conversation or holding a presentation because you leave the feeling that you are not approachable. Also, make sure you are not slouching forward, not just because you look insecure but also because it’s bad for your back. Your hands need to have a purpose, other than just staying in your way. And you are the one who needs to figure out what to do with them. I have a very poor habit of picking my nails or nail polish whenever I’m anxious, it’s my coping mechanism. But guess what? That’s not such a great idea. So how about pointing towards that amazing slideshow you prepared instead? Try to keep your chin up, make eye contact as I already mentioned and nod. Nodding is amazing because while nodding you are transmitting a message without actually using any words. Your colleague asks a question? Nod meanwhile so that you show that you follow his line and are interested. 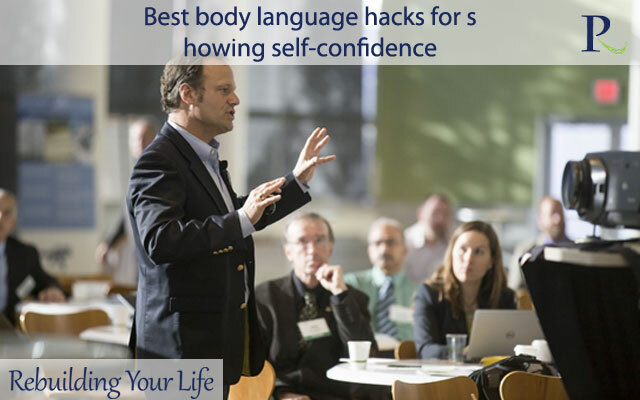 These are just some small steps that you can take into account next time you have to hold a presentation at work. I know that getting over the anxiety of speaking in public is one of the hardest things you can do at a psychological level, but it’s doable. Maybe you will not become a preacher but at least you can nail the work presentations so that you show them what a true professional you are! 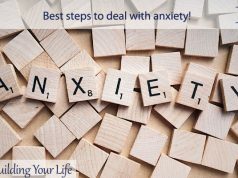 Best steps to deal with anxiety!